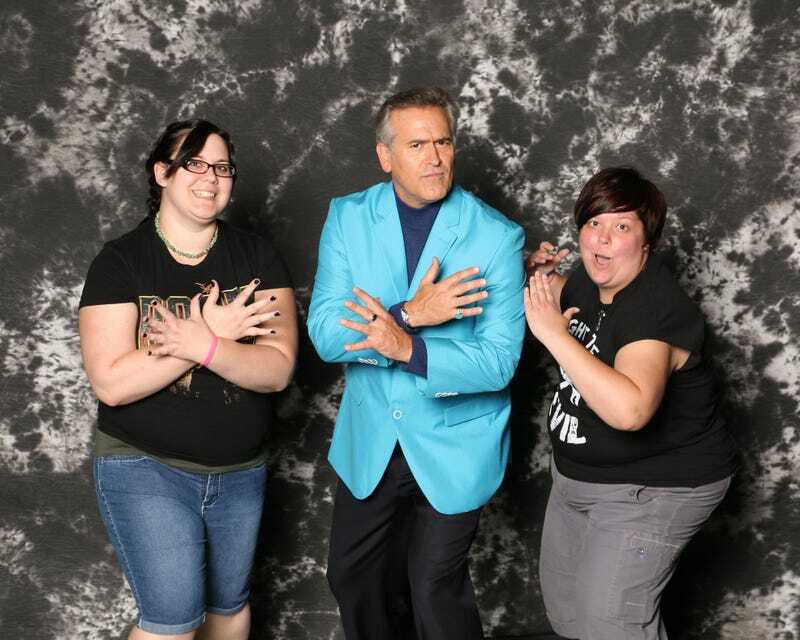 My best friend and I met Bruce Campbell at a con on Saturday, and it was super cool. There were tons of people in costumes from many different fandoms, and one costume that I kept seeing over and over were people in white pants and boots, with brown leather straps on their legs and around their waists (kind of like weapons holsters, but I didn't see weapons), and tan jackets with blue and white wings on the back. I swear it's from an anime, but I had no idea what it was. Does anyone recognize what it could be from that description? Answer: Attack on Titan. Thanks RV and others! My boyfriend has a box of vintage He-Man action figures and vehicles that he must get rid of on his mother's orders. He doesn't want to keep them, but he doesn't want to give them away until he knows whether there's a market for them. He can't give me more specifics other than "about four Skeletors, a couple of He-Mans, one of the girls, a Battle Cat, and a few tank/car things" at this moment. He claims he gave up the way of the nerd when he "grew up" (whatever that means), which is why he doesn't remember the names of the toys. Do any of you know anything about the collector's market for He-Man? Are there better places to sell than Amazon and eBay? Let me know if you want me to give you guys a heads up if he decides to sell online. That's pretty much it. Thanks for your time!